The following remains on our website as a history of the issue. 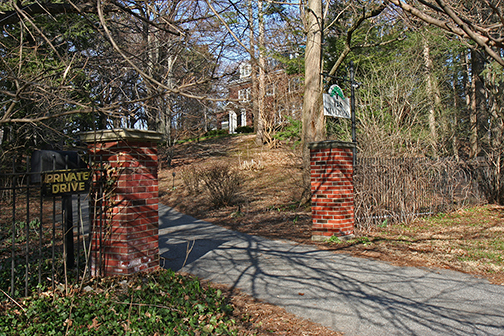 On January 15, 2014, Highland Hospital closed on the purchase of a home at 27 Bellevue Drive, a residential street that borders the hospital. Highland representatives told neighbors at a meeting on March 6 that they don't know what they're going to do with it. Possibilities they mentioned included storage (which would require a zoning variance), renting the space or leaving it vacant. WROC-TV channel 8 has since reported the hospital needs it for office space. While the hospital has been elusive about its plans for the property, they have been very clear that they intend to expand the hospital's footprint through the purchase of more residential properties. And they mentioned in the March 6 meeting that they may expand their onsite facilities, too. WHAT DOES THIS MEAN FOR ROCHESTER? Neighbors are concerned that the hospital is pursuing a long-term strategy that will lead to the deterioration of a healthy city neighborhood that borders the Frederick Law Olmsted-designed Highland Park. We've seen this pattern before. Genesee Hospital devoured a vast chunk of its surrounding residential-and-small-retail, walkable neighborhood along Monroe Avenue. only to close just a few years after a major expansion. The immediate and surrounding neighborhood has declined in its wake. The expansion of St. Mary's led in part to the deterioration of its neighborhood, as well. We don't want to see that happen in yet another city neighborhood. WHAT ARE HIGHLAND HOSPITAL’S EXPANSION PLANS? While the hospital hasn’t been forthcoming about the specifics of its expansion plans, some public documents help fill in the gaps. Highland Hospital’s 2013 annual report states that the hospital will spend $1 million this year “toward site analysis and planning studies as the first steps in our Master Facility Plan.” The report cites a need to modernize operation rooms, patient rooms, an observation unit, storage and support space, the cafeteria and several other resources. More telling, perhaps, the credit ratings agency Standard & Poor’s reported in a credit upgrade on October 8, 2012, that Highland “management is considering construction of an additional patient tower starting in 2015 at the earliest, for a total cost of up to $35 million.” When asked about this “patient tower” at the March 6 meeting with neighbors, hospital officials characterized it as one of the options they are looking it. They explained that the tower would permit the hospital to replace double-occupancy patient rooms with the preferred private-room solution. At the March 6 meeting, Highland Hospital representatives also revealed to neighbors that the hospital now sees itself as a regional resource providing services to a wider area than it has served as a community facility. These wider-ranging ambitions are reminiscent of the oft-stated aspirations of the hospital’s well-endowed owner, the city’s No. 1 employer, the University of Rochester, to advance its stature. Missing from the public record: indications of just how big Highland Hospital wishes to be. The hospital’s renewed interest in buying residential properties dates to early 2013, when Highland placed a purchase offer on 428 Mount Vernon. This historic home is located on nearly 2 acres of land contiguous to Highland Park and across the street from Highland Hospital, and is currently being operated as a bed and breakfast. The offer expired, but the hospital remains interested in the property, according to hospital officials. The property the hospital put up for sale at that time, in 1995, while stating it had no interest in expanding in the neighborhood is the same property at 27 Bellevue Drive that it purchased earlier this year. Wouldn’t it be ironic if the hospital once again promised to sell this property in exchange for easements to build a facility such as a patient tower that exceeds their land usage rights? Many of us have had positive experiences receiving medical care through Highland Hospital, which is ranked No. 3 among Rochester hospitals and No. 23 in the state by US News and World Report. We appreciate that Highland Hospital provides high-quality care in a community environment unlike the massive impersonal institutional settings of other medical campuses. We'd hate to see that quality vanish. While we understand the hospital's need to meet the changing healthcare needs of the community, we don’t believe a thriving and beautiful neighborhood should be sacrificed for Highland Hospital to meet its goals. We appreciate that the University of Rochester and Highland Hospital have agreed to include neighborhood representatives in future planning sessions. And we hope that our neighborhood representatives will have the opportunity to make meaningful contributions to Highland Hospital’s growth strategy moving forward.